Means a skewer, so this is anything grilled on a skewer (lamb, chicken, pork, etc). These are great for the kids (and adults too). 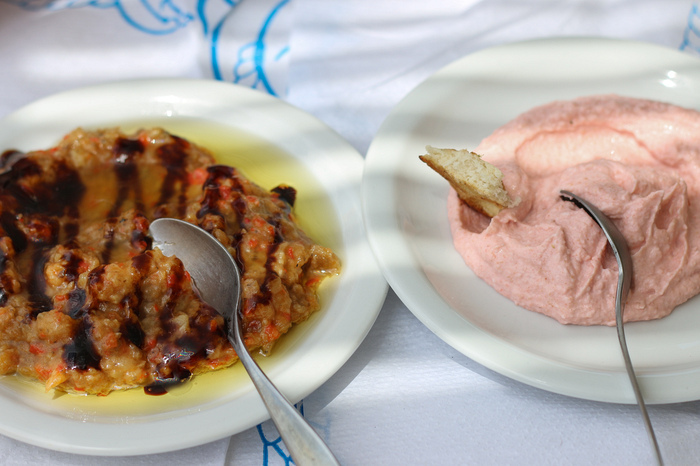 Sometimes these can be served in a similar style to a gyro, wrapped in pita bread with sauce and garnish. Other times just the meat on a stick. 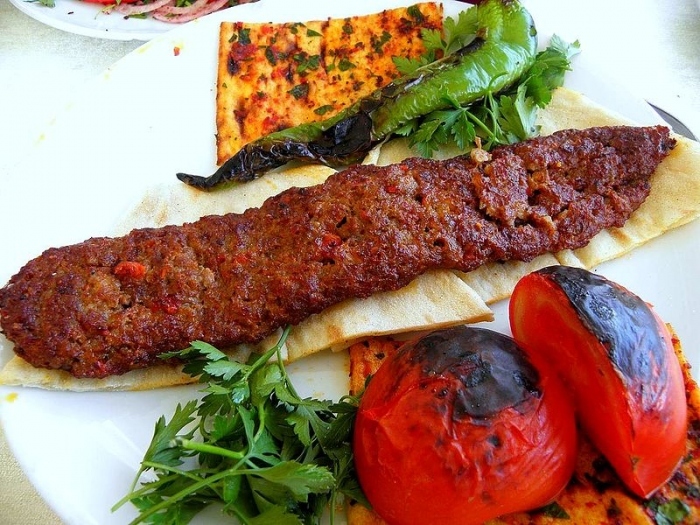 A kebab is an elongated piece of meat, kind of like a burger patty. Itâ€™s meat all minced and squished together into a sausage-look-alike. These are great for the kids. 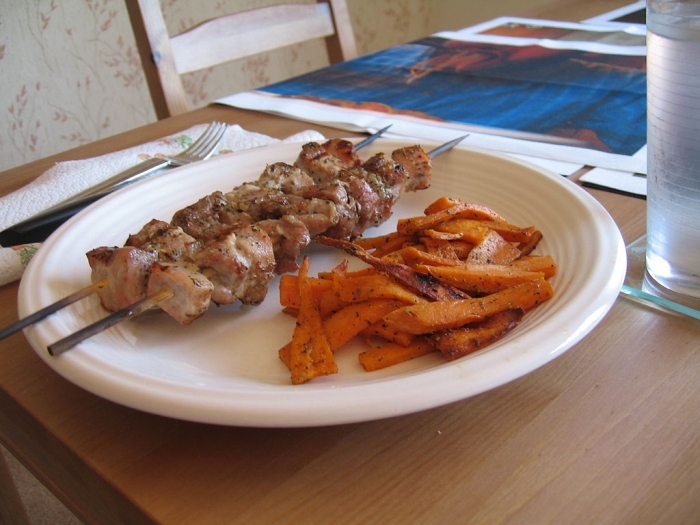 A good kebab will pack a lot more flavour than you may expect. 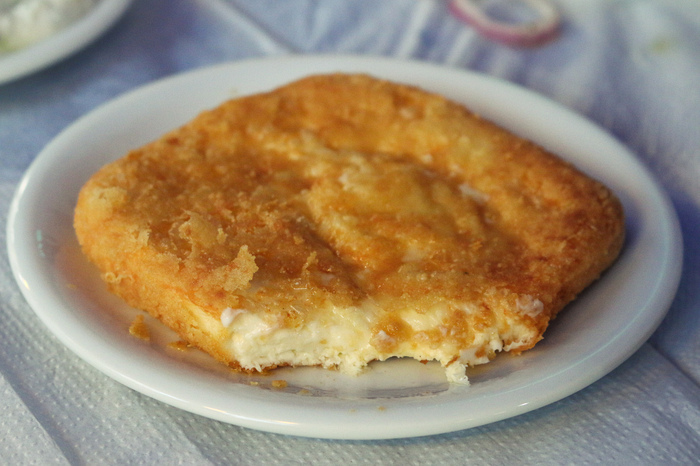 Deep fried cheese. Need I say more? 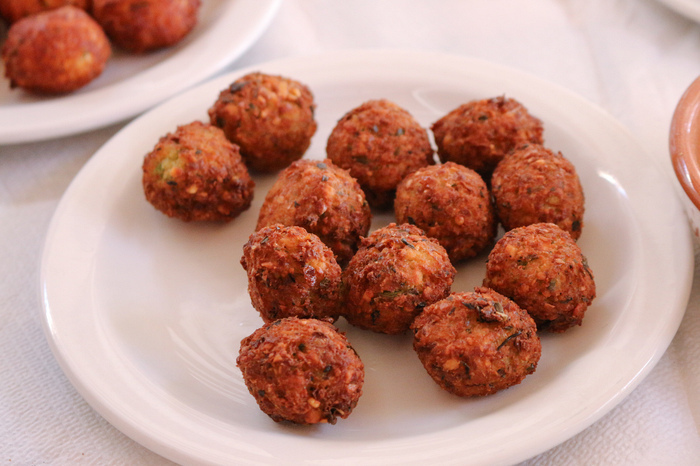 Similar to a Middle Eastern falafel, this is a fried chickpea ball packed with a spice blend unique to Greece. 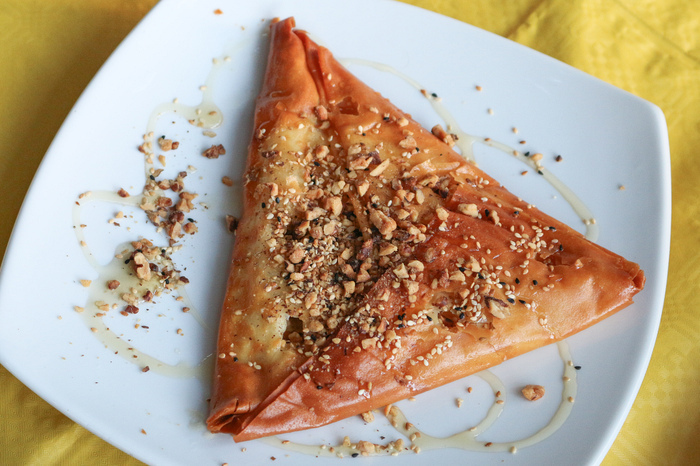 Feta wrapped in filo pastry oven baked and then drizzled with honey. 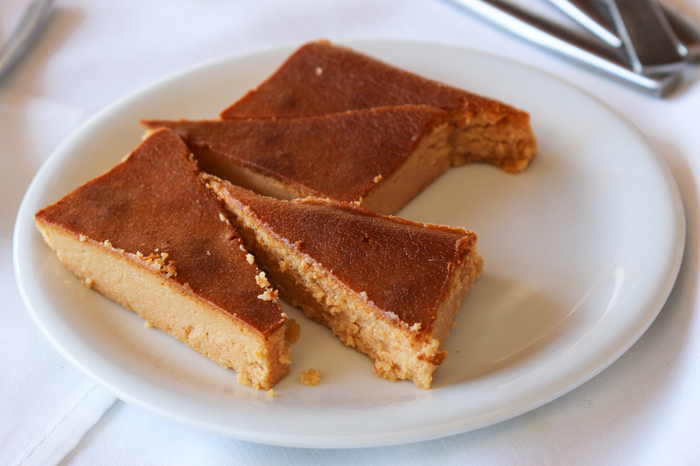 A dessert or an entrÃ©e, who knows? This is Joshâ€™s favourite. 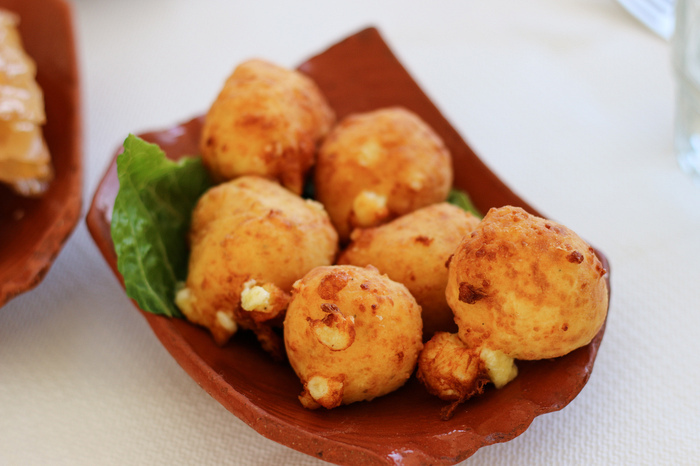 The delicate balance between the salty feta and sweet honey makes for an unforgettable party in your mouth. Itâ€™s like a pasta-free lasagne. SautÃ©ed eggplant, minced meat, tomato, onion, garlic, potato, bÃ©chamel sauce and grilled cheese, layered and usually covered with cheese. 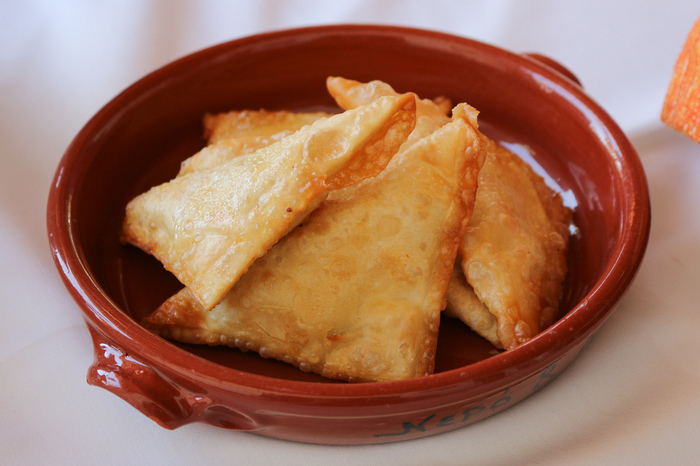 Triangle pastries made up of filo pasty and filled with a delicious mixture of Greek cheese. So simple, yet so delicious. 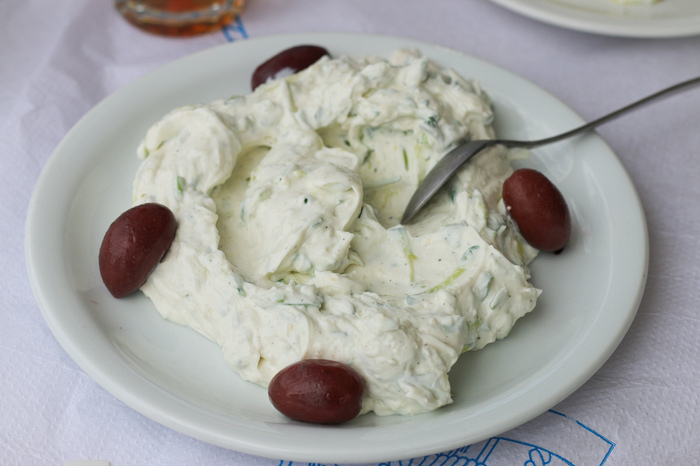 This has been my favourite dip since I can remember and the Greek do it so well with their awesome Greek yoghurt. Basically it is yoghurt and cucumber seasoned with garlic. Goes great with meat, vegetables, pita, or just by itself with a spoon. Famous all over the world, but the Greeks still do it better. 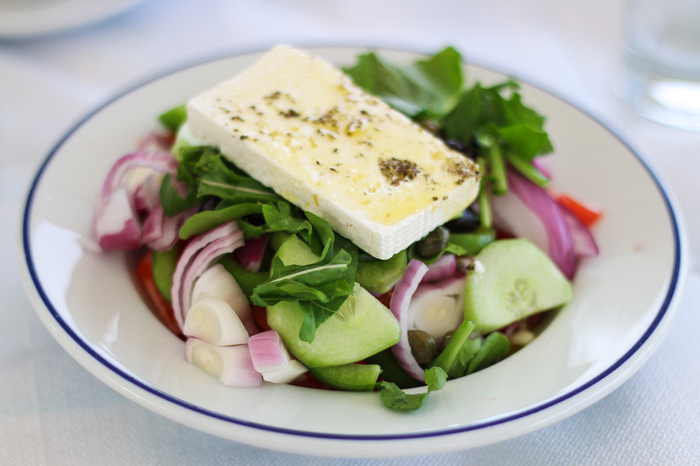 Crunchy cucumber, juicy ripe tomato, olives, red onion and a giant slab of feta on top. Dressed with olive oil, vinegar and lemon juice. Itâ€™s a staple with every meal. 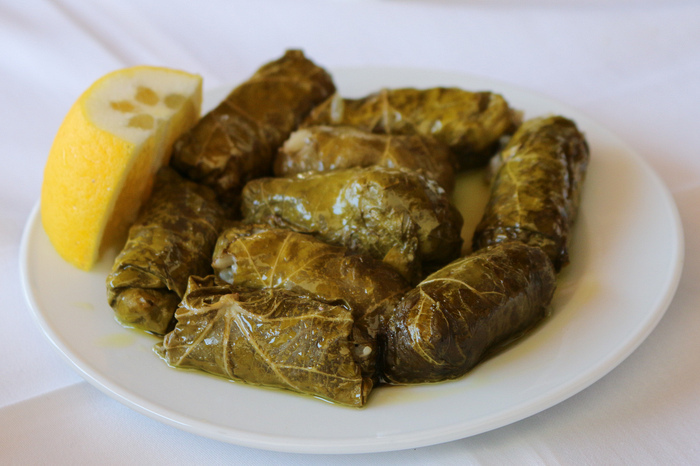 You saw these on the menu in Israel, stuffed grape leaves. Usually these are stuffed with rice, pine nuts and fresh herbs. I like them warm. 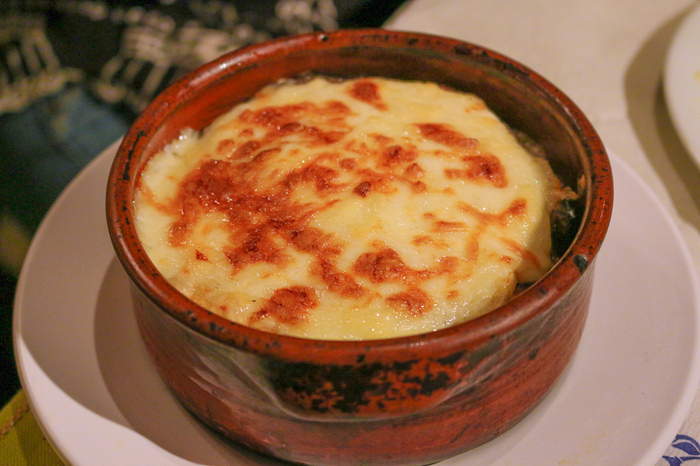 Traditionally Greek restaurants often give complimentary dessert. 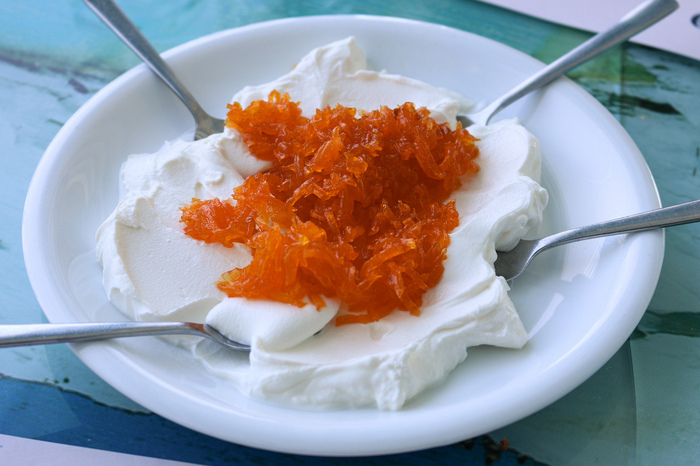 We often got Greek yogurt (or crÃ¨me fraiche) with fruit preserves. The strangest one we tasted was a carrot marmalade, which actually ended up being the sweetest and most delicious of them all. Butter cake of semolina, raisins, almonds, served with alone or with vanilla ice cream and pomegranate syrup.